One of my fave hack & slash 3D platformers of all time is coming out today on the Nintendo Switch! I loved, loved, loved Darksiders on my XBox 360. It was a fast paced fun game that had an interesting story and amazing graphics that just looked and played awesome. It was one of those games that I spent an entire weekend playing and had zero regrets… Besides the migraine afterward because of the lack of sleep and staring at a TV way, way to much. April 2nd is the planned release date for the End of the World as we know it. A world without Darksiders on Nintendo Switch. 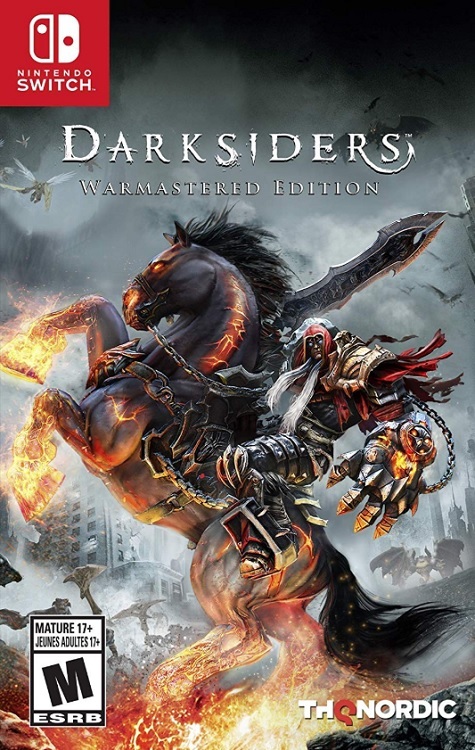 Darksiders Warmastered Edition is already available for PC, PlayStation 4 and the Xbox One and will be out on the Nintendo Switch system on April 2nd 2019 for an SRP of $ 29.99, both digitally and in retail stores. I see this as a great game I’ll have with me whenever I need to destress during a really bad weekend. If you haven’t played Darksiders yet, I strongly reccomend this game. It’s sort of like a darker and more action packed Zelda game.